Activision has announced that Call of Duty: Black Ops 4’s Blackout mode will be free-to-play for one week, starting tomorrow, Jan. 17 and running until Jan. 24 on PC, Xbox One, and PlayStation 4. All we’ve got to go on is a video and a few tweets, with no word as to whether progress made during the free week will carry over into the full game should you purchase it. There’s not even an announcement on the CoD news page, but you can get a few tips on how to play via a handy Blackout Cheat Sheet. We normally wouldn’t make news of a limited free-to-play trial on the site, but given that the game — or rather game mode — in question is one that has been talked about recently as being primed for a full free-to-play switch, we’ll make an exception. 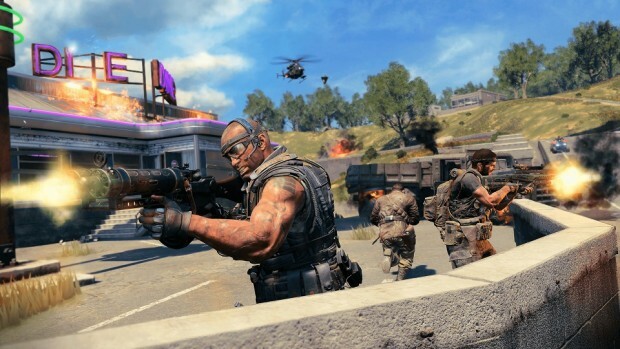 It’s reasonable to think that this is a “trial run” of Blackout F2P and that a more permanent switch could be imminent. This game…. have serious issues and problems, i own it and its full of crashes, and sometimes the game decides to not start at all for no reason. So in my opinion they did a huge mistake with this free trail, which will make people go away from buying the game. It’s not like there is shortage of BR games. I personally don’t like these games but there are out so many of them now. Who cares if their version is not perfect, there are already BR giants that take away most players away. Even games that are awful for BR modes they are still trying to create BR mode for it. From what I know instead of making really juicy single player mode they just printed out cod BR game. This is all they effort went into. They just want to milk popularity BR games are currently receiving.